We are seeking volunteers…..not only individuals, but couples, groups and especially our teens……..
1. Serve as a committee member helping to organize & execute the event…..using your creative juices!!! 2. Monitor special activities i.e. : Bean Bag toss, Ring toss, Egg/Spoon Race, Coloring/Activities Table, Pin the Tail on the Bunny, FACE PAINTING. 3. Identify & Greet families as they arrive. 4. Hide Easter Eggs & supervise during Egg Hunt. 6. Offer direction & Information as needed. 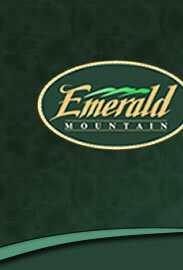 Volunteers do not have to be Emerald Mountain residents. Youth groups, service groups, social groups, scout troops, etc. are welcome. To volunteer, or for more information, contact Debby Dinkins @ ddinkins@elmore.rr.com or 334-478-3433.